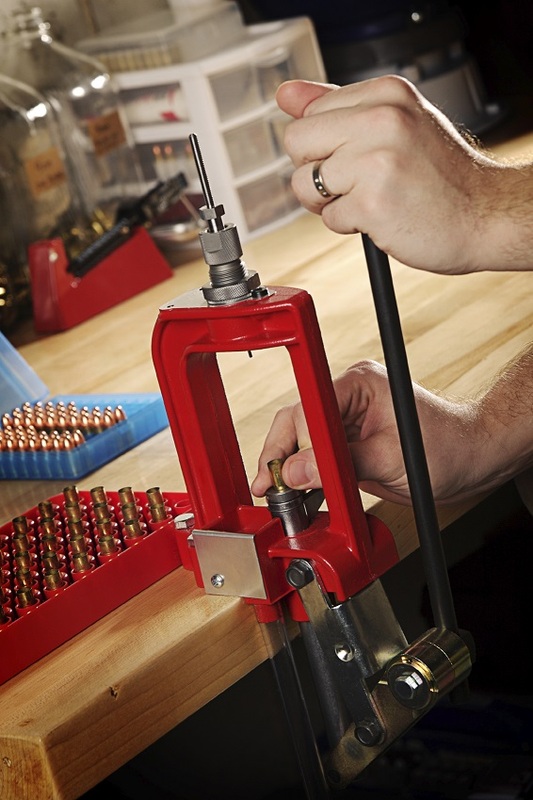 Whether you’d like to save money or want to learn as much as you can about shooting and gunsmithing, reloading your own ammo may be the way to go. Most shooting enthusiasts eventually grapple with the ammo reloading issue. On one hand, reloading bullets instead of buying commercial ammunition is often more cost-effective. On the other, it is a fairly time-consuming endeavor. The question is: Where do you fall on the scale? Does reloading your own ammunition make sense for you? Ammo reloading: Who does it? People who reload their own ammunition typically fall into one of two groups. The first is made up of people who shoot a lot. Members of gun clubs go through lots of ammo, so the savings involved in loading their own is compelling. The second is made up of people who are determined to be the most accurate shooters possible. They believe loading their own is the only way to make the most of their firearms. Save Money. This one is a little up in the air. Reloading some types of ammo can save you money. The typical 50-count box of commercially produced 44 Magnum bullets will set you back by around $40. Reloading your own ammo costs around $13, so you stand to save a hefty chunk of change. The savings aren’t as significant for other types of ammo, however. In some cases, it may even cost you more to load your own. If savings aren’t your primary concern, though, this may not matter to you. Improve Accuracy. Commercial ammunition must adhere to specific safety standards. It must be able to perform properly in the majority of firearms, so it’s not always loaded to the levels of velocity that are required for superior performance. Also, bullets must be seated far back enough in the brass to fit just about any magazine. Many believe accuracy is improved when the bullet is seated a little farther out. More importantly, by reloading your own ammo, you can use components that work for your exact gun and that perform properly for your desired application. Have Fun. Many people reload their own ammo simply because they enjoy it. If you’re curious about the mechanics behind shooting, you will probably enjoy the process of reloading your own ammunition. Shoot More. Have you ever felt like doing a little shooting, realized you were out of bullets and decided against it? That’s a pretty big letdown, and you can avoid it by keeping the ammo reloading supplies you need handy. From that point forward, you won’t have to run out to buy commercial bullets anymore, and you will be able to shoot more often. The costliest part of reloading your own ammo is typically buying the equipment and supplies you need . For shotgun reloading that means a reloading press, but you’ll need a lot more for a pistol or rifle. Used equipment is available, however, and gun clubs often offer great discounts on supplies too. Moreover, you can start with what you need for the caliber you use the most. If you enjoy reloading your own ammo, you can always invest in more dies for other calibers later. Learn about ammo and the broader world of gunsmithing at the Colorado School of Trades. Our career counselors can help you decide if being a professional gunsmith is the right path for you.